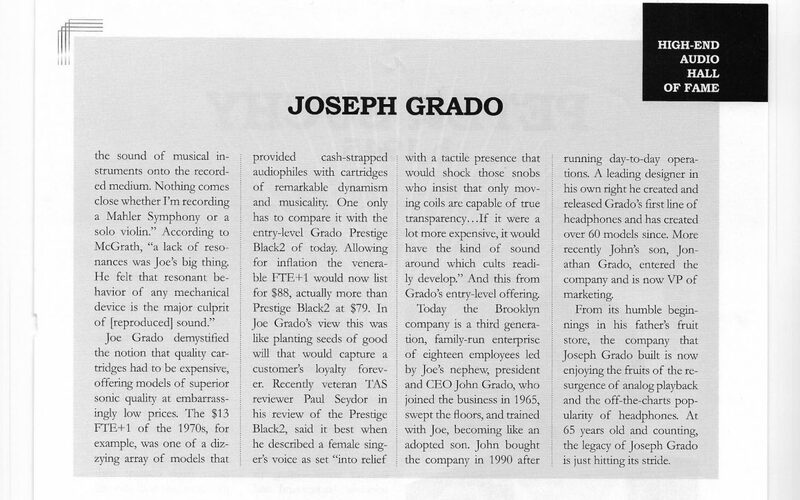 We are honored to find out that the absolute sound has inducted Joseph Grado into the High-End Audio Hall of Fame. 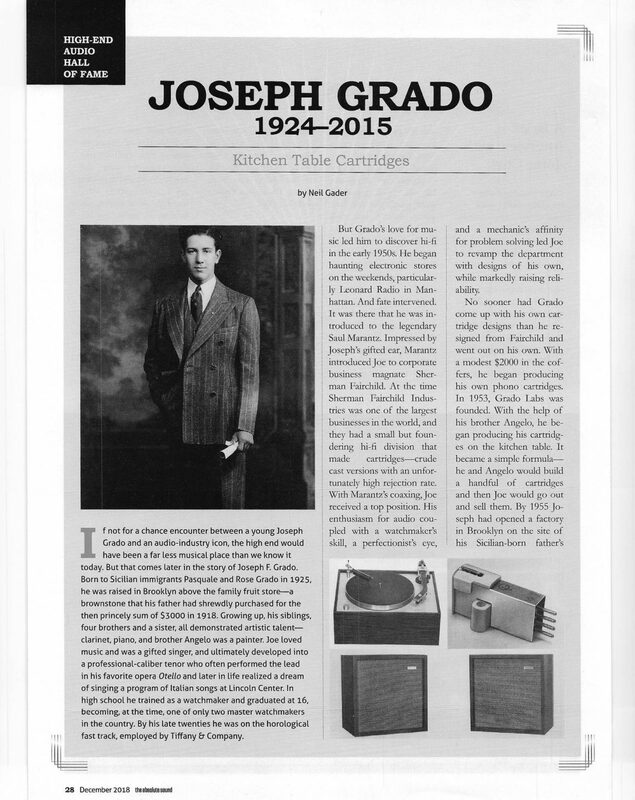 Joseph Grado founded Grado Labs on his kitchen table when he started building phono cartridges, while his day job was working at Tiffany’s. When production exceeded the yield of the table, he went around the corner to our family’s fruit store and turned it into Grado Laboratories. While we love fruit, we’re okay with that 1953 pivot. 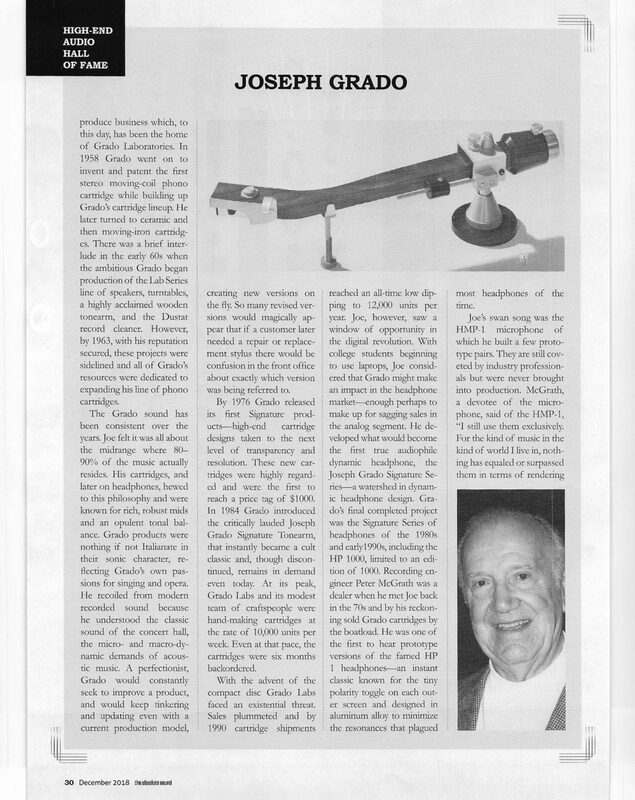 It means a lot for Joseph’s work in the phono cartridge world to be celebrated and recognized with this induction.